Order and purchasing Hyundai parts and accessories is easy when you shop with us at Pantili Hyundai. For starters, we have a wide selection of parts for your Hyundai including brake pads, oil filters, wipers, and much more. 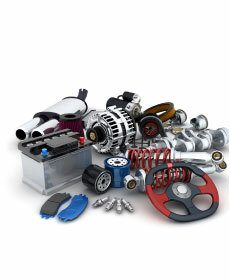 We also offer parts specials so that you can receive a discounted rate and save your hard-earned money. If you would like to place an order for your OEM parts, you can do so through our website. If you'd rather speak to one of our parts specialists, feel free to give us a call. We know our Bluefield and Beckley customers like to take on the job from their own garage or driveway. If you are browsing our parts specials but don't see an offer for the part you need - don't worry. These parts specials get updated on a regular basis, so we recommend bookmarking this page and checking back often. When you do see a part special you like, you can request more information about it, email it to a friend, or print it out and bring it down to our Hyundai dealership. Aside from our parts specials, we also offer service specials and vehicle incentives for our clients throughout Shady Spring, Wytheville, VA, and the surrounding areas. If you have questions about any pf the special offers you see, please give us a call or reach out to our specialists online. We can't wait to meet you soon!